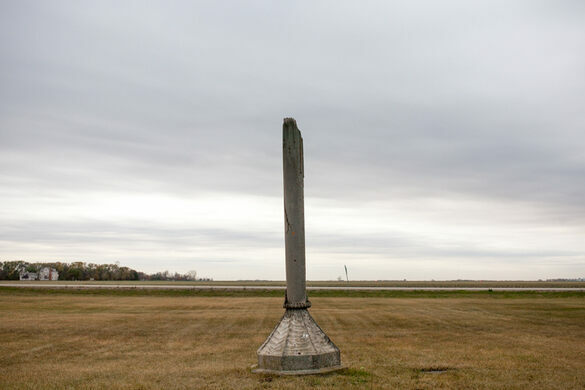 On the windswept Dakota plains there is a memorial to circus workers who were struck down by lightning. On June 10, 1897, the Ringling Brothers Circus came to town. A visit from the circus to the tiny town of Wahpeton, North Dakota was a huge event. That same day a major storm was brewing, but despite the dark clouds the circus workers set to putting up the tent. That’s when the lightning began to strike. Only place outside China, where two overhead DC power lines cross. Ringling’s 1897 season had been a financial struggle, and cancelling wasn’t an option. The show must go on, so the men struggled to put up the main tent pole. They didn’t realize they were creating a massive lightning rod, and before the pole was fully up, it was hit. Two men, Charles Smith and Charles Walters, were killed instantly, three others were stunned, and foreman Charles Miller later died from his injuries. Despite the tragedy, the show went ahead as scheduled. During the parade, the weather was so bad that horse-drawn carriages became bogged down in the mud, and elephants had to be used to push them out. 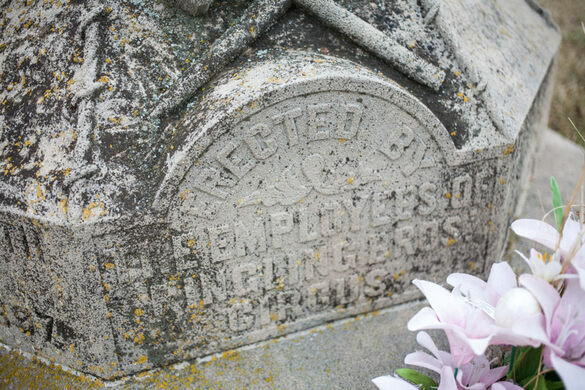 The men were buried that same afternoon in the Riverside Cemetery, a little way south of town. The afternoon show’s earnings paid for the funeral. 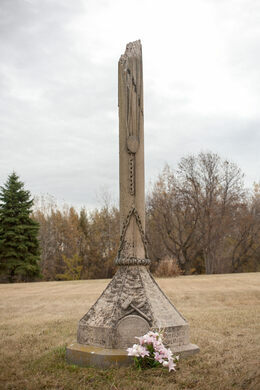 For a few months, the pieces of the tent pole were used to mark the gravesite. In September, 1897, it was replaced with a granite monument, sculpted to represent the remains of the original tent pole. 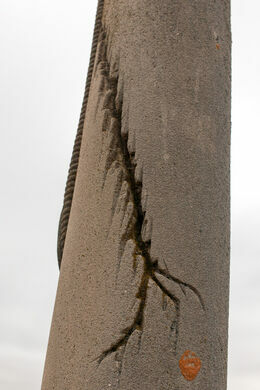 Carved into it is the rope-and-pulley system they were using to winch it up, and you can see jagged lines mimicking where the lightning struck. Even today, when a circus is in town, it has been reported that the crew visits the graves to pay their respects. The monument stands lonely in the small windswept graveyard, a long way from home for the two men who died that day. Wahpeton is 50 miles south of Fargo, straight down Rt. 75. The monument is easy to reach from downtown: drive south on 182nd Ave SE for about a mile and the cemetery will be on your left. You can park off the road, in the entrance to the cemetery. The stone pole is easy to spot. Google maps has this listed as the Bohemian National Cemetery for search purposes. This replica of an 8th century burial ship actually sailed to Norway before returning home to Minnesota.